Welcome to ISW Training, the Health and Safety Training specialists who can provide all aspects of health and safety training courses in Somerset and throughout the entire South West of England. Our training courses focus on ensuring our trainees receive the most accurate course information with an affordable price. Whether you have personal or work related reasons for undertaking our training courses, our team are here to help. ISW Training has helped hundreds of individuals and businesses in Somerset and the South West of England with top tier health and safety training courses. Our mission is to make all our customers feel comfortable and capable in whichever area they wish to train in. We believe teaching methods are just as important as the actual training course content itself. Different individuals and businesses have different processes and as a result, will need various training solutions carefully planned to enhance the performance of trainees. 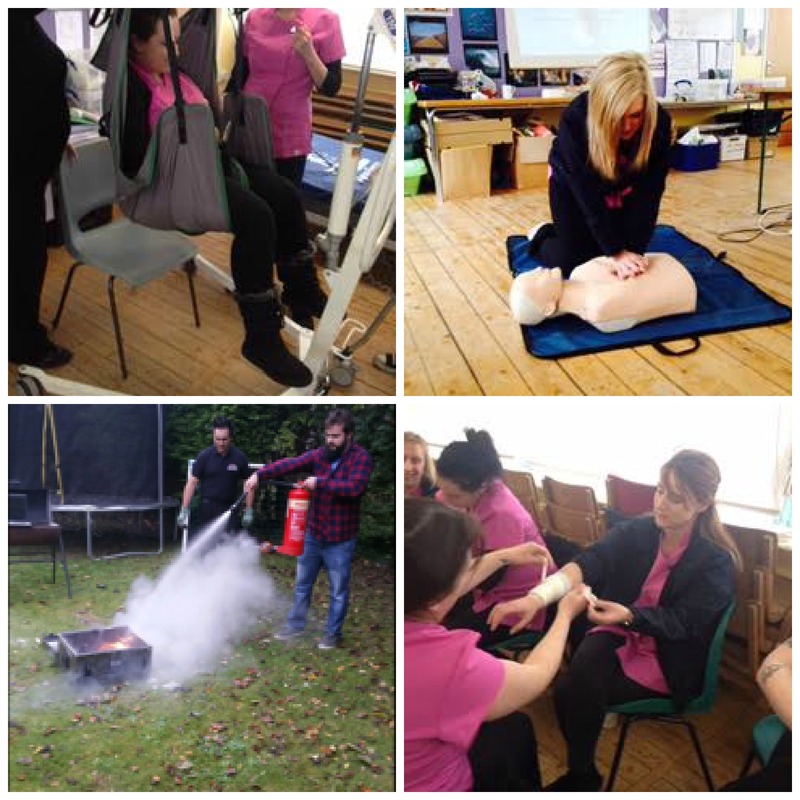 ISW Training provide all three main health and safety training courses in Somerset and the South West of England, such as Fire Safety, First Aid and The Moving and Handling of People. Below we have included a breakdown of each course and who it would be best for. What Health and Safety Training Courses Can We Provide? Our Training Courses – ISW Training was founded by Ian Wheeler in Wellington, Somerset. Ian has a passion for people and has worked in the public service since the age of 21, such as caring for a range of children and adults and a retained fire fighter. This has enhanced his depth of knowledge and experience in teaching applicable and tailored training courses for individuals and businesses. Fire Safety Training Courses – our fire safety training courses in Somerset cover all aspects of fire safety, fire safety procedures, fire legislation, fire chemistry, evacuation and much more. This training course is tailored around the needs of the prospective fire marshall and typically runs for 5-6 hours. First Aid Training Courses – we offer first aid training courses in Somerset tailored around individual business needs. We provide 1 day emergency first aid training for low risk businesses and a 6 hour paediatric first aid course for nannies who wish to join the voluntary part of the Ofsted Childcare Register (OCR). It is also suitable for Au Pairs, Babysitters, Parents and anybody who cares for children and needs a basic paediatric first aid course. Moving and Handling of People Training Courses – this training course is perfect for anyone looking to gain the necessary requirements to move and handle people in safe way. We go through manual handling regulations, duty of care, moving and handling assessments, unsafe moves and much more. If you are looking for health and safety training courses in Somerset and throughout the South West of England, then ISW Training will be able to prepare free training course quotes and consultation for any of our training courses. We have a set price but this can be adjusted depending on the number of people attending the course, type of trainees, extent of training, etc. Each training course is carefully planned and taught around your exact requirements and personal or business needs. © 2017 - ISW Training. All Rights Reserved.